The term “Climate Change” proposed by World Meteorological Organisation (WMO) in 1966 was incorporated in the title of the Intergovernmental Panel on Climate Change (IPCC) and the United Nations Framework Convention on Climate Change (UNFCCC) which now has become synonymous with anthropogenic global warming. Climate change is one of the greatest challenges of the 21st century along with the increased global population and environmental degradation. It is no longer a scientific concern alone but involves economics, sociology, law and health which directly impact the global sustainability. 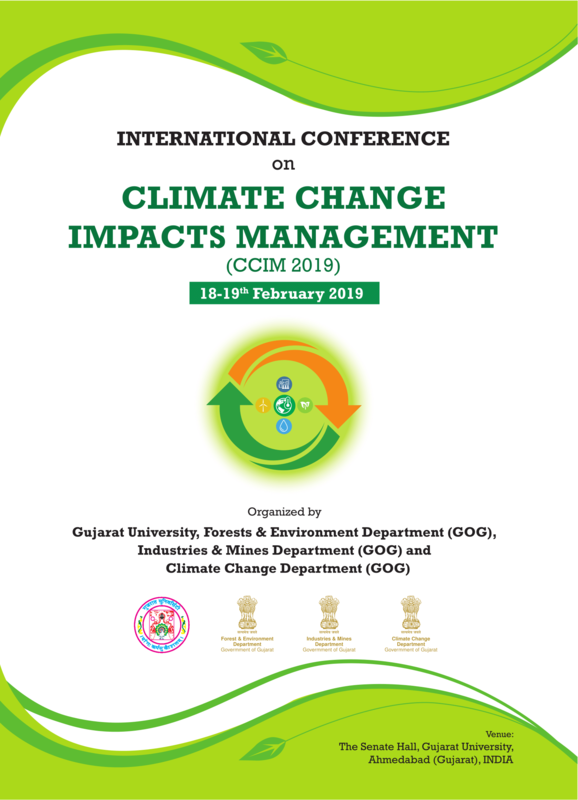 The role of the Federal Government of India, Department of Industry and Mining, Department of Climate Change & Department of Environment and Forest, Educational Institutions along with start-ups and SME sector is of utmost importance in addressing the issues of Climate Change Impacts Management.Therefore, it is an apt time to deliberate on Climate Change Impacts Management. Listed on 17 Jan 2019.